Right now we’re seeing the extreme right clash with the extreme left, and people in the middle are being forced to choose. 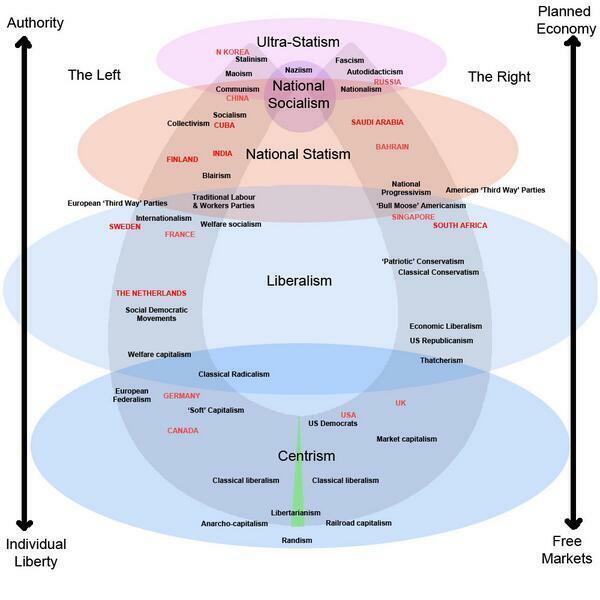 Even worse, most mistake the few centrists who remain with one extreme or the other. You’re either a crazy liberal (as judged by Trump people), or a non-thinking Trump supporter (if you’re talking to crazy liberals). And those forces, of being confronted by various raving masses, then forces even more centrists to one side or the other. Or to abstain completely because there’s no place for them. But I hope this will soon change. In reading a number of books by Charles Wheelan recently, I came upon a political philosophy that could be exactly what we will need once we finish with the current ideological war. The “radical” in the term refers to a willingness on the part of most radical centrists to call for fundamental reform of institutions. The “centrism” refers to a belief that genuine solutions require realism and pragmatism, not just idealism and emotion. Thus one radical centrist text defines radical centrism as “idealism without illusions”. Most radical centrists borrow what they see as good ideas from left, right, and wherever else they may be found, often melding them together. Most support market-based solutions to social problems with strong governmental oversight in the public interest. We’re about to see a nasty clash between extremes in this country, and it’s going to appear as if there’s no middle left. But there is, and they’re tired of being forced to choose between different sets of emotional, short-sighted, and harmful ideas. From the ashes we’ll assemble something new. Until we have something better, maybe we can point to Radical Centrism as some sort of beacon. In the meantime, buckle in. The image above is not mine, and if you know the creator I’d love to give them credit.